Oxford University Museum of Natural History. My dilemma now is, do I enamel the end boards or leave them in bare steel to let them rust? It's such a lovely piece of work Sue. I like the ends being dark and relatively plain to contrast with the other pages. If you decide to enamel them I'd keep them simple. This is absolutely amazing work Sue! I'd say enamel these ones to give it a completely completed look. Stunning either way. 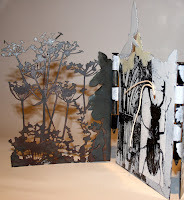 What a fabulous piece - I love the 'cow parsley' ends rusty or not. rust, rust, RUST!! Would you expect me to say anything else? 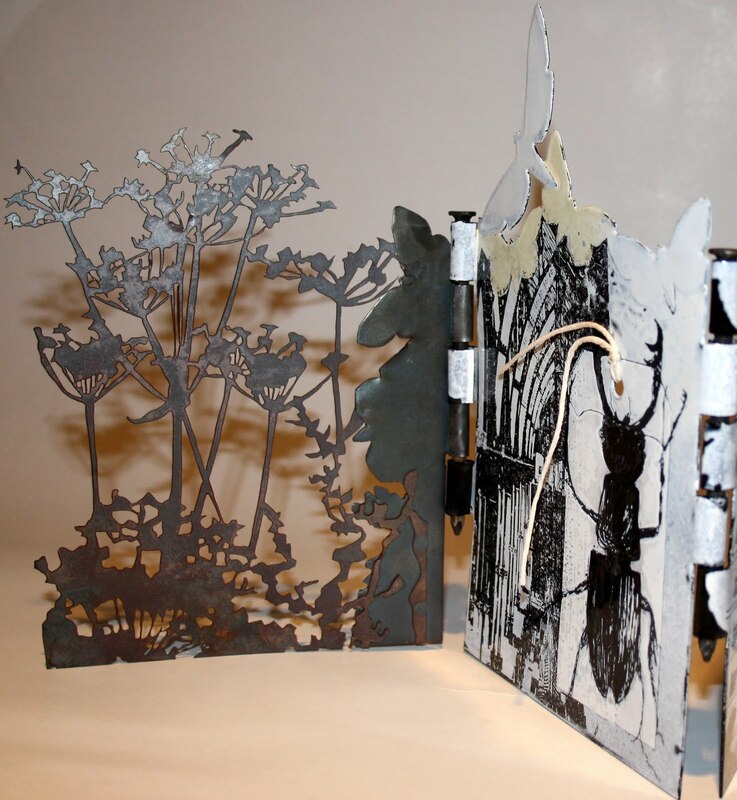 The book is a work of art with some great imagery from the museum. Love the cupboards and shelves etc. Now you're on a roll what's next? I say let them rust the juxtaposition of the enamel and rust will look amazing.. Decisions, decisions!! 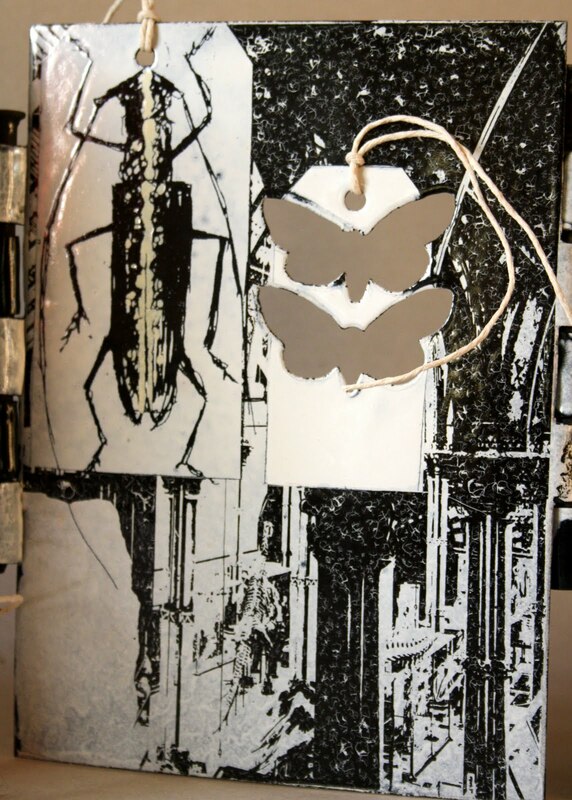 This is a wonderful piece, Sue - try the rust on this and make another! Beautiful and imaginitive work. just love your "book". What a great book! I love butterflies at the best of times. favourite parts are the cow parsley.